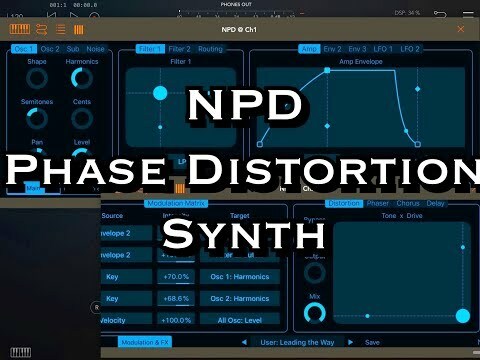 New Phase Distortion synth called NPD, it's also AUv3. One to put on the Black Friday watch list. The price is higher than some iOS synths, but the official Casio CZ App on the App Store is also $20, and NPD seems to have more features, a better workflow, and AUv3. I suspect that CZ App won't ever be AU, though time will tell. I wish there was AU that supported CZ sysex like the KQ Dixie does for DX7 patches. KQ Dixie made my TX802 even more obsolete, heh. CZ - phase distortion, the quirky clone of FM. Digital at heart but Analog in soul. CZ - phase Modulation, the quirky clone of FM. Digital at heart but Analog in soul. That would definitely be cool. I think there's a ton of CZ sysex out there. I confess that I have a CZ-101 (obtained in 1986 and in storage since 1990), but never really dug into it back in the day. Most of its 16 factory presets were uninspiring, but I suspect it's capable of interesting noises. @overorange Phase Distortion is amazing. Another CZ option is Virtual CZ which supports CZ patches. For your cz101 which I have as well, the best option is to use the Patch Base app, which makes it super easy to edit patches and send them to/from cz101. Unfortunately, NPD seems to lack the CZ multi-stage envelopes (up to 8 stages) that made the CZ1000 something of a cult instrument. And with today's processing power I would have preferred to see something more ambitious - more along the lines of a CZ5000 (which is in effect two CZ1000 stacks). Probably the biggest thing disappointment for me is that the overall tone had that brittle digital quality that gave digital something of a bad name in the 80's. Plus the DSP overhead was really worrying for how thin it sounded. I believe Doug updated his iPad to a 2018 model and many of the patches he demoed were showing 40% plus in AUM. I'd love to see NPD be less pedestrian as Phase Distortion is for many a more intuitive version of FM (although I believe modern UI's have fixed many of those UX issues). But it really needs to be more DSP efficient too. I’ve gotten some pretty dense and meaty sounds from NPD, but it’s definitely a cpu eater. I’m on a mini 4, so anything heavy tends to yield obvious glitch, and NPD can hit Model D levels of stuttering from the cpu getting the business. I like all of this dev’s synths, but they’re all gonna challenge lower end hardware like mine. I do want to note that the stuttering only happens in a few of the factory presets, but I still see NPD taking lots of cpu in AUM as @jonmoore pointed out from watching Doug’s video. @overorange There's a really great and stunningly accurate emulation of the CZ1000 available as a VST and it's super light on CPU so I think there's some serious optimization required for NPD. It really shouldn't be hitting Model D levels of processing firepower requirements. There's even a Max for Live emulation available that's less hungry for CPU cycles. You know, I was on the beta for some reason. Never really dug in and then it came out. And it is, as has been noted, rather “spendy,” as they say. But this thing sounds unlike anything on my iPad. This demo is great but it doesn’t hint at how weird this thing is. I’m thinking I might pick it up, and I’m really cheap! $14.99 and I wouldn't hesitate. My first synth was a CZ3000. I think it’s still in my mum’s loft. I think I need to get it down. I loved that synth. I would definitely be interested in a nice auv3 CZ plug-in but if Casio could make them run on 1980s silicon a plug-in shouldn’t need to be so power hungry. Load of £20 cards without NPd getting on the ‘to buy’ list. The Casio CZ app just gone on sale down to £9.99 obviously competition hurting. But I assume you beta test them all! 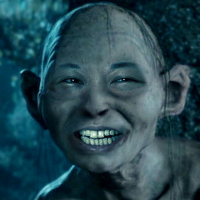 (And if there were I'm super allergic to NDAs anyway).